Take a look at the product you would like on the BUY page: a pressing set, a pressing ham, a seam roll, an extra-large ham, contour ham, OR one of each! Enter your fabric choices and any other note in the NOTE TO SELLER box at checkout. I will verify your order (via e-mail) and payment prior to making your custom order. Check your Spam folder in your inbox if you do not see an e-mail within 48 hours. VERY IMPORTANT - Please ensure that your e-mail and shipping address are correct. 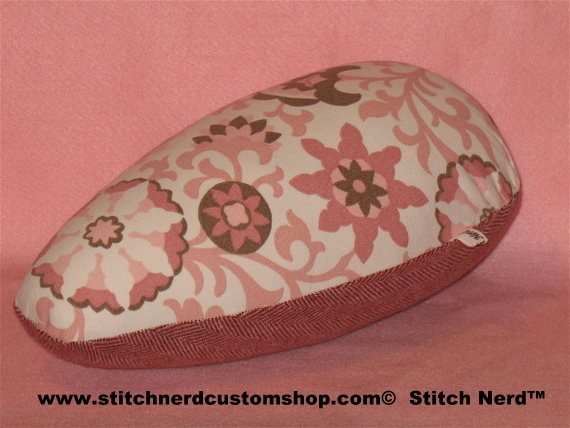 Once your pressing aids have been finished, you will receive an e-mail with this in the subject line: Your Stitch Nerd Custom Order is Ready!